When you think wedding, the color black probably doesn’t jump right into your mind. 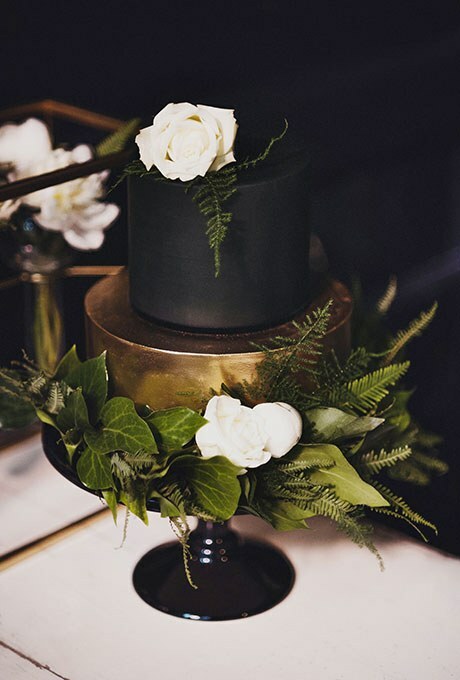 However, with the steadily rising popularity of fondant giving pastry chefs and cake artists new opportunities for creative expression, we’re seeing more and more black cakes. 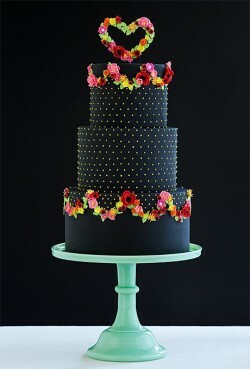 A heavy hand with black and result in a cake that’s more fit for a funeral than a wedding! 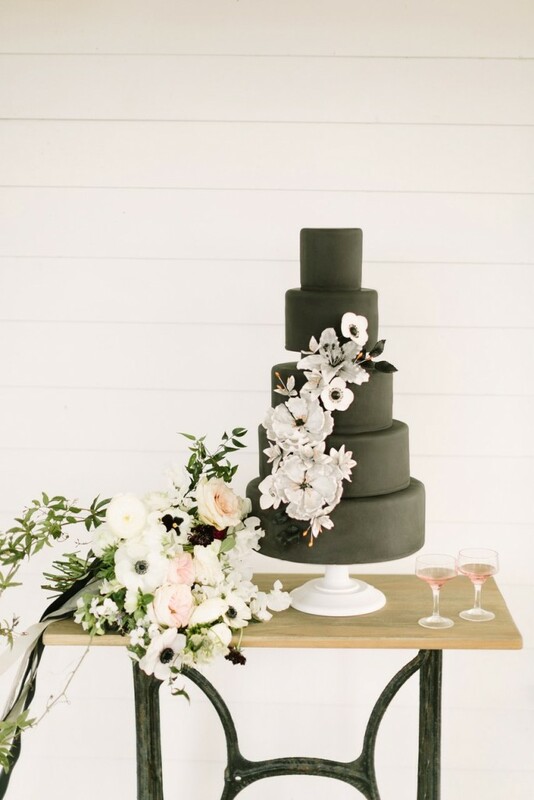 However, when black is applied as a fondant ribbon or bow, it can provide a nice contrast to the traditional white, or other softer colors more naturally featured at weddings. 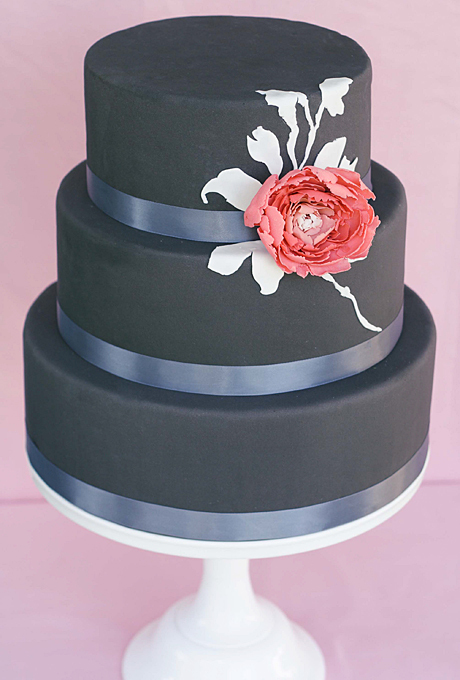 We’ve seen some truly creative use of the color black on wedding cakes. Rich and opulent damask patterns are a terrific way to use black. 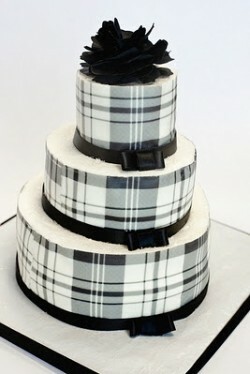 Zebra or other animal prints can express the wild side of the happy couple. And the gaming enthusiast or horror film junkie? 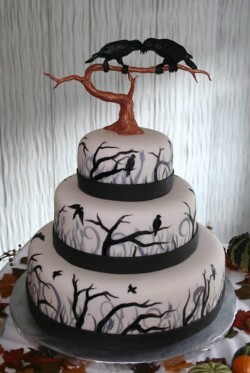 Well, how about a Zombie cake or a Chuckie topper? (Really. We’re serious.) 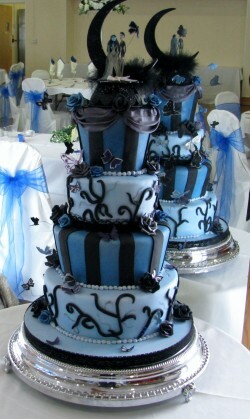 We’ve even seen a goth cake, which paired black and purple in a startling – and attractive – combination. 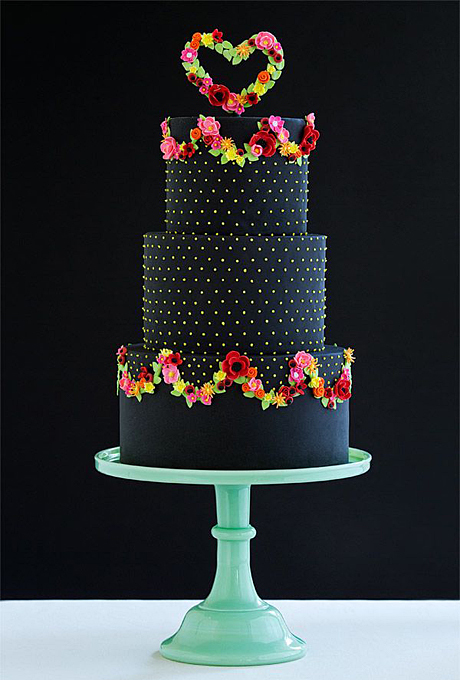 If black is a favorite color, and you would like to use it in your cake color scheme, we here at aWCB say, well, why the heck not? It’s YOUR day. That cake should be an expression of YOU. This cake is so non-traditional and it’s not for everyone. Now you’ll probably need to be a rather modern, edgy bride to choose black fondant as the icing on your wedding cake. 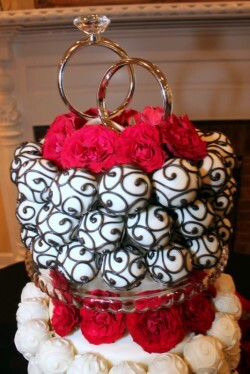 But if this is what you’re looking for in a wedding cake I say go for it! Omistars…I feel certain that cake pops were some kind of happy accident, or were the obvious invention of thrifty cake bakers who couldn't imagine throwing out all those cake scraps (we used to make rumballs out of all those yummy leftovers.) Dress them up, put them on a stick, and you have the perfect two bite dessert! It’s that time of year again! No, not back to school or summer ending or fall beginning. It’s the time of year when I start looking for crazy and fabulous seasonal wedding cakes! 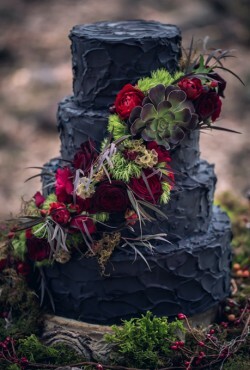 And since I’m already finding TONS, I had to go ahead and give you a preview of the stash with today’s post – the Raven Wedding Cake. 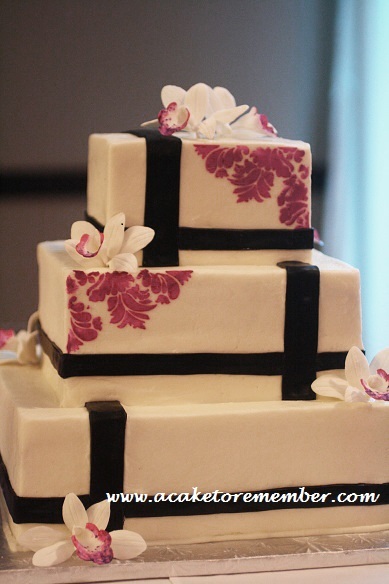 As much as I love a traditional wedding cake, I really dig when I run into something totally different that I haven’t seen before, anywhere. The other day, I ran across this example of just such a cake.